TNB Repair and Maintenance Sdn. Bhd. (TNB REMACO) was first incorporated as a subsidiary of Tenaga Nasional Berhad (TNB) in 1995. The company is managed independently as a business organisation within the corporate structure of the massive TNB group, Malaysia’s premier power utility organisation. While it shares and contributes to the group’s core vision, values, culture and significant financial resources, TNB REMACO nonetheless remains steadfast in the realisation of its own corporate destiny. 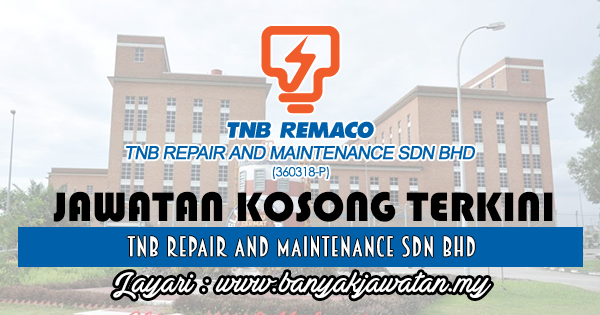 0 Response to "Jawatan Kosong di TNB Repair and Maintenance Sdn Bhd (TNB REMACO) - 20 Jun 2018"